29 May 2018 Washington, D.C. 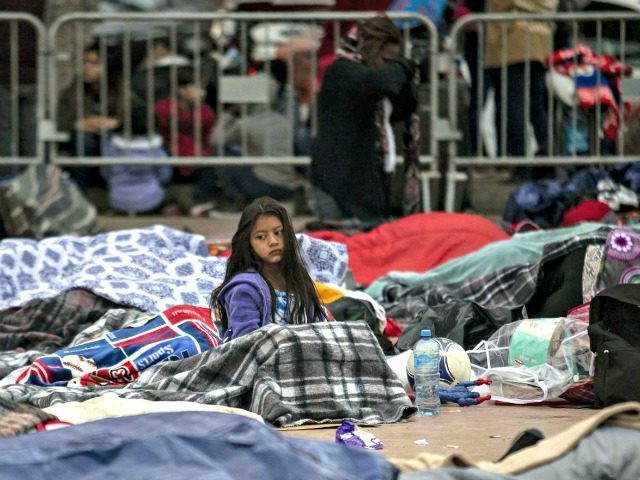 In a briefing to the media on Tuesday, White House officials — including President Trump’s senior adviser Stephen Miller — revealed that the number of illegal aliens using children to enter the U.S. at the southern border has increased about 315 percent between October 2017 and February 2018. Through a series of legal loopholes, minors are smuggled through the southern border with illegal aliens posing as family units in order to eventually be released into the country through the “Catch and Release” program. Catch and Release allows foreign nationals to be released into the U.S. while they await immigration and asylum hearings through these legal loopholes. Miller slammed congressional Democrats as the “source cause” for the immigration loopholes not yet being closed through law, an effort that Trump has called on the Republican-controlled Congress to take up. For months, as Breitbart Texas reported, illegal border crossings of family units and unaccompanied minor children have skyrocketed. Miller said the migration patterns from Central America to the U.S. of unaccompanied minors and illegal aliens posing with children as family units are evidence that trafficking organizations are gaming legal loopholes in U.S. immigration law.